In what remains a dark day in Canadian history, Marc Lepine was responsible for a 10-minute shooting rampage that killed 14 women and injured 13 more at the Ecole Polytechnique in Montreal. The shooting remains the deadliest in Canadian history. Born Gamil Gharbi, his father was reportedly abusive to him, his father and his sister. Lepine grew up obsessed with war movies and electronics. He tried to enter the military but was rejected for antisocial behavior. He also had a lifelong difficulty relating to women. In 1982, he changed his name to Marc Lepine, taking on his mother’s surname. He wanted so much to attend the Ecole Polytechique, an engineering school, but was struggling with his night courses to help get him into the school. A week before the shooting, he bought a rifle from a hunting store. Blaming women for all the problems in his life, he walked into the school on the last day of classes before the end of the fall term and shot all the women he found. At the end of his rampage, he turned his rifle on himself. This fad originated at the University of Rhodesia (now Zimbabwe). It quickly caught on in Canada with Canadian students from coast to coast pushing beds over the highways, prairies and frozen lakes of the country. The record (at the time) was 1,600 kilometres (1,000 miles) set by an Ontario University team that “kept its Simmons rolling night and day for a week.” When the craze peaked in 1979, the new record was from students at Pennsylvania’s St. Vincent College. The team pushed their bed (beds had to be mounted on wheels to allow them to travel) in circles around a shopping center for 3,000 kilometres (1,980 miles). What was once a staple for many fans, Coca-Cola discontinued the fruit-flavored drink in the U.S. due to a lack of sales. For fans who are seriously missing the drink, you need to find yourself a German, Australian or Canadian friend. 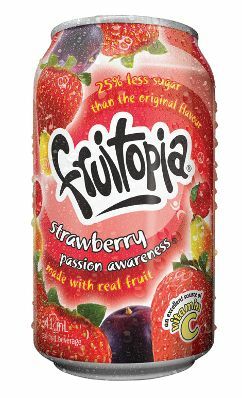 All flavors of Fruitopia are found in abundance in all these countries and Coca Cola has no problem maintaining sales there. Written by Ben Peters, Kiss An Angel Good Mornin was recorded by American country artist Charley Pride. It was released in October 1971 and was the debut single from his album Charley Pride Sings Heart Songs. Kiss An Angel Good Mornin has become Pride’s signature song and was his 8th #1 single. It was his first single to cross over to the Pop chart, peaking at #21 and hitting (#7) the top ten on the Adult Contemporary chart. Kiss An Angel Good Mornin also hit #1 on Canada’s country chart, #31 on their pop chart and #2 on their adult contemporary chart. Since Pride, George Jones, Alan Jackson and Conway Twitty have covered Kiss An Angel Good Mornin. like Swiss cheese. They were made to taste like Swiss cheese, but it’s a subtle flavor. They were crunchy and had a great texture. Oddly, Nabisco has discontinued the brand in the U.S. Since there remain a lot of fans of these crackers, potentially, it could be a quick trip to get your hands on them again. Christie Foods (a division of Nabisco, both of whom are owned by Kraft) readily produce Swiss Cheese crackers throughout all of Canada. They can be found in any Canadian supermarket and online at Canadian food selling sites. First released in 1991, That’s What Love Can Do was American female pop group Boy Krazy’s debut single. The song was written and produced by British hitmakers Stock Aitken and Waterman. The group’s self-titled debut album was released in 1991 in the UK. That’s What Love Can Do peaked at a dismal #86. At the end of 1992, That’s What Love Can Do began spinning regularly in nightclubs, made the jump to radio and was awarded a 1993 re-release. This time the world was ready and became Boy Krazy’s claim to fame. That’s What Love Can Do peaked at #18 on the Hot 100 Billboard singles chart. The Brits gave it a second chance, but it only went to #80. Its best charting position was #1 on Billboard’s Radio & Records Pop Airplay chart. The country that loved it the most was Canada where it hit #6 on their single chart (RPM Top 100). After the album’s re-release, main lead singer Johnna Lee Cummings left Boy Krazy and the group fell apart. stay with both of his grandmothers. Reynolds started his life of crime with petty theft, which progressed into breaking and entering and grew to include assault. In the 60s he joined a gang with future best friend Harry Booth and brother-in-law John Daly. 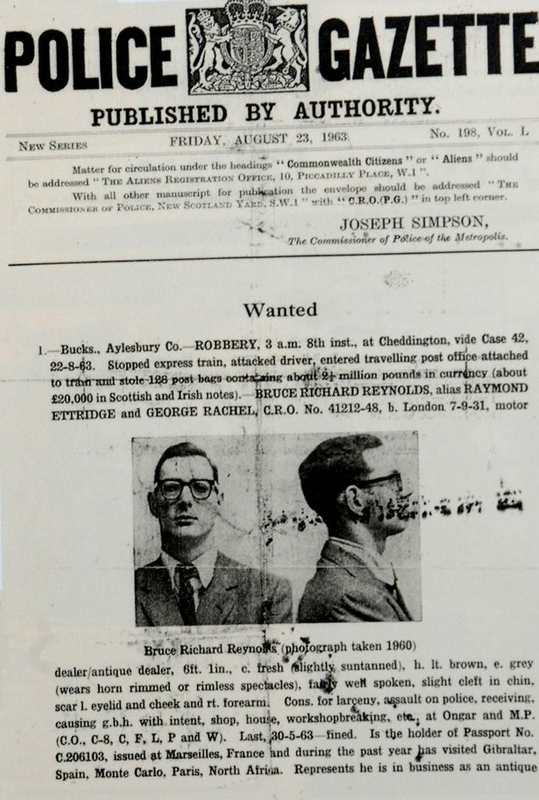 In 1962, they stole 62,000 pounds from a security van at Heathrow Airport. In 1963, he masterminded the Great Train Robbery, carried out by 15 men, and netted over 2.6 million pounds (that converts to over 48 million pounds today). After escaping to Canada, he changed his name to Keith Hiller and was apprehended in Torquay on November 9, 1968. He was sentenced to 25 years. In 1978, Reynolds was released. After his release, he did some trafficking and money laundering for some South London drug gangs and gained a media profile as a “former criminal” figure and acted as a consultant for the film Buster, based on characters and events from The Great Train Robbery. He died in February 2013 at the age of 81. He was working on a book for the 50th anniversary of The Great Train Robbery. The Hilarious House of Frightenstein was a Canadian (children’s) sketch comedy television series. I’ve put children’s in brackets because the show was indeed marketed and targeted to children, but this show has become such a cult hit that even adults adore it. At the time, Frightenstein was the most ambitious TV show attempted by Canadian producers. All 130 episodes of this series were filmed over a nine-month span. Canadian comedian Billy Van played the title character of Count Frightenstein (the 13th son of Dracula). In fact, Van played most of the characters on the show, including The Wolfman, The Grammar Slammer, Bwana Clyde Batty, Dr. Pet Vet, Grizelda, the Ghastly Gourmet (a female character), the Maharishi and The Oracle. Other stars were Fishka Rais, who played Igor, Frightenstein’s assistant. Rais was an accomplished jazz singer. Guy Big played the Midget Count. Julius Sumner Miller was an American physicist that played The Professor. (It was he who provided much of the educational content that Frightenstein presented.) The biggest coup for Frightenstein? Landing Vincent Price. Yes, Vincent Price, the illustrious horror genre actor. Price provided most of the introductions for each segment on every show. He was attracted to the show because he wanted to do a show for children. 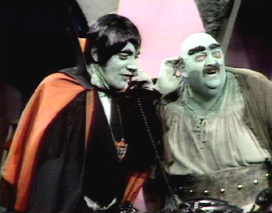 Price and Miller’s segments were all filmed during the summer of 1971. Frightenstein also made use of puppets. Harvey Wallbanger (the postmaster), Gronk (a purple sea serpent that interacted and interrupted a reading Count or joked with The Wolfman) and the Grammar Slammer Bammer (a large puppet that corrected Igor’s grammar). If you are unfamilar with Frightenstein, it is definitely a show that needs to be seen to be believed. Every once in a while, Frightenstein reappears on some Canadian TV stations, like Space, TV Land or Drive-In Classics.